The Shire Free Church offers a sanctuary for those seeking an escape from state churches. The Shire Free Church is an interfaith, diverse group of people who may not share identical theological beliefs. As a member in or minister of the Shire Free Church, you are a sovereign individual and may be the faith of your choice whether it be Christian, Muslim, Hindu, Buddhist, Daoist, Jewish, Quaker, etc, or following your inner light. 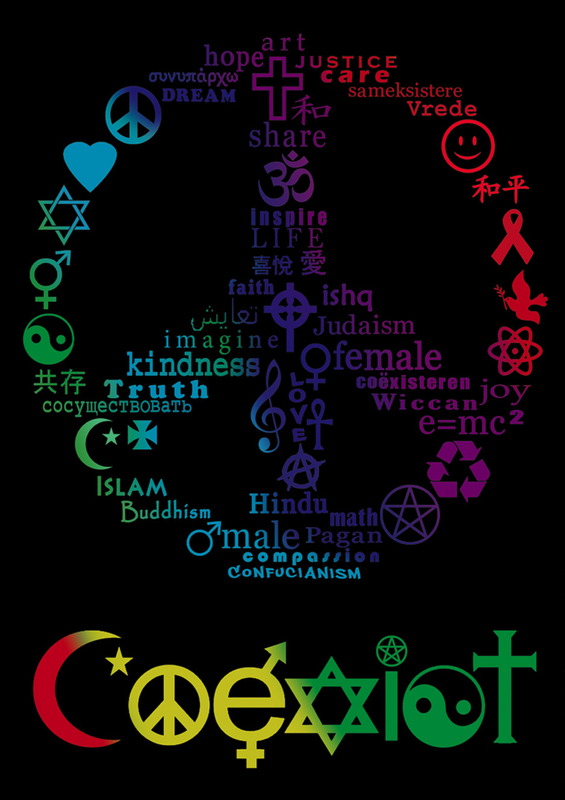 Monotheists, polytheists, pantheists, panentheists, and atheists are all welcome, as long as you are peaceful. The Shire Free Church was organized in Keene in the year 2013 and serves all of the Shire. We don’t claim to have all the answers. We are open to all peaceful people. We want to learn from each other. 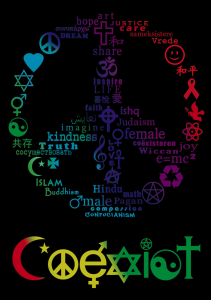 It is our mission, inspired by God, Allah, the Universe, and the inner light – to foster peace. We understand that in order to have peace in the world, one must have it inside oneself first – the “purification of the soul”, as our Muslim friends call it. What unifies the Shire Free Church and its diverse members is peace, love, and liberty. There are many paths to God – one for every individual. The Shire Free Church does not define a specific path beyond those parameters that must be your foundation: peace as your way, love as your guide, and liberty as your light. The only requirements to visit or join the Shire Free Church are that you are of peace and do not advocate the use of force to achieve social or political goals. In order to join the Shire Free Church, you must be a signer of the Shire Society Declaration. There are no requirements or induction rituals. You need not ask permission from anyone in the church – simply make the decision to be a part of the Shire Free Church for yourself. You may stay a member as long as your words and actions show you are of peace. To this end, each Shire Free Church member may decide the validity of any other claimed member based on their word and deed. Shire Free Church ministers have full control over their churches, church projects, and parsonages. Our structure is non-hierarchical. The Shire Free Church is a private group that welcome interested people who meet the moral qualifications to join as stated above. 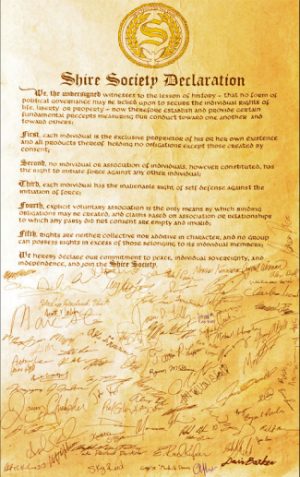 To become ordained, you must be a signer of the Shire Society declaration as well as agree with the mission and statement of beliefs of the church. To receive your official Ordained Minister card, please reach out to existing ministry via the contact information below. You can contact a minister by using the Shire Society forum. You may be a member of the Shire Free Church regardless of your physical location, but it is recommended you move physically to the Shire in order to secure more of your liberty with like-minded brothers and sisters. Keene: Click for blog posts from Keene ministers. Shire Free Church: Monadnock is also part of the Universal Life Church. Special thanks to our friends at the Peaceful Assembly Church in Grafton. In memory of PAC’s pastor John Connell, whose inspiration was critical in forming the Shire Free Church. Thank you, John.